The event schedule can be found here. Leadership, while traditionally defined as the role of a leader, a person who guides or directs a group, has many dimensions. One does not need to be “in charge” in order to lead, affect change, and make a positive difference. This panel discussion will explore leadership strategies and techniques for leading from wherever you may be in your career. Gain insight on how to help senior decision makers recognize your leadership potential. Find out what these leaders wish someone would have told them when they were starting out. Anna Stukas is the Director of Intellectual Property and Regulatory Affairs at Angstrom Power Incorporated, a privately funded R&D start-up focused on developing micro fuel cells for portable power applications. Her responsibilities at Angstrom include patent portfolio management, technology licensing, standards development and creation of international regulations. She has been instrumental in the creation of international regulations that now allow use of fuel cells onboard passenger aircraft. In addition, Anna is the President of the Society for Canadian Women in Science and Technology (SCWIST) and Chair of the Portable Power Working Group for the United States Fuel Cell and Hydrogen Energy Association. Anna received her Bachelor’s Degree in Mechanical Engineering (Co-op) from the University of Victoria. In her spare time, Anna volunteers as an assistant instructor at Vancouver West Aikikai teaching aikido, a Japanese martial art. Sarah Clark, P.Eng., has been President & CEO of Partnerships BC since 2010. 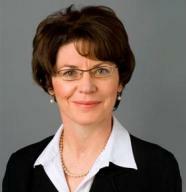 Previously, Ms. Clark served as Vice President, Partnership Development and Delivery, of Partnerships BC, responsible for management of current projects; development and resourcing of new partnership structures and opportunities; and the management of client relations and service quality for all Partnerships BC projects. Ms. Clark has extensive project management experience in both the public and private sectors, including the structuring of public private partnership contracts and teams. She has participated on procurement teams for some of B.C.’s largest public private partnership projects. Prior to joining Partnerships BC, Ms. Clark worked for Bombardier Transportation where responsibilities included proposals for public private partnership projects and project management of rapid transit projects, both locally and internationally. Ms. Clark is a Professional Engineer and is a member of the Association of Professional Engineers and Geoscientists of British Columbia. She holds a Bachelor of Science Degree in Civil Engineering from Queen’s University. A civil engineering graduate from UBC (BASc 1986, MEng 1987), Lianna has more than 20 years experience in consulting engineering, specializing in the design and construction of wastewater, water, and civil engineering projects. Currently, as Vice President, Business Development, Lianna is responsible for business development and marketing for the Associated Engineering group of companies. Associated Engineering is an employee-owned, Canadian consulting firm with over 800 staff in 18 offices across Canada. The firm provides multi-discipline engineering and environmental science services in the water, environmental, infrastructure, transportation, building, and renewable energy sectors. Lianna is an active volunteer with APEGBC and DAWEG (the Division for Advancement of Women in Engineering and Geoscience-a division of APEGBC). She has also served on committees for the Consulting Engineers of B.C. and CCWEST (Canadian Coalition of Women in Engineering, Science and Technology), and has participated in a number of initiatives for Engineers Canada, including a national symposium on Women in Engineering and the “From Consideration to Integration” study. In recognition of her work with these organizations, Lianna received APEGBC’s 2002 Professional Service Award and, in 2009, received the designation of Fellow from Engineers Canada. Elizabeth works in the Contaminated Sites group with WorleyParsons Canada working on the assessment and remediation of contaminated Sites in British Columbia. She has a Bachelor of Applied Science in Civil Engineering with options in environmental engineering and water resources from the University of Waterloo. Elizabeth is the current chair for the Division for the Advancement of Women in Engineering and Geoscience (DAWEG) and also volunteers with the APEGBC’s Division of Environmental Professionals (DEP) and the Women in Engineering – Vancouver Region (WIE(VR)) group. In her spare time Elizabeth likes to hike, camp, ski, ride motorcycle, and travel. 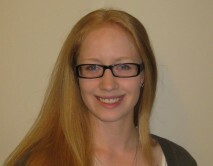 Megan Leslie, Stantec Consulting Ltd.
Megan has a Bachelor of Engineering in Biological Engineering from Dalhousie University in Halifax, Nova Scotia. In her ten years with Stantec (formerly Jacques Whitford) she has completed over 300 environmental site assessments in Canada (Alberta, British Columbia, Manitoba, Nova Scotia, and Yukon), the USA (California, Nevada, Oregon, and Washington), and Ukraine. Over the last two and a half years Megan has also been working on Leadership in Energy and Environmental Design (LEED) projects helping building design and construction teams create environmentally friendly buildings that conserve water and energy, use products that have recycled content and/or are extracted and manufactured locally, and have superior indoor air quality. Megan volunteers with the Association of Professional Engineers and Geoscientists of British Columbia (APEGBC); the Division for the Advancement of Women in Engineering and Geoscience (DAWEG); UBC’s Engineering Tri Mentoring Program; Science World’s Scientists and Innovators in the Schools (SIS); the YWCA; the Canadian Cystic Fibrosis Foundation (CCFF), the Canadian Cancer Society (CCS), and the Whistler Weasel Workers. In her spare time, Megan enjoys traveling, biking, skiing, snowshoeing, hiking, camping, and whitewater kayaking. Sometimes when life offers an opportunity, you have to take a risk. Sometimes the risk can be small, sometimes it can be large. Sometimes the risk can take you off a career path and maybe catapult you into something new. It may seem exciting, it may seem scary, but sometimes, you must go on your own, be an entrepreneur and build your own career where you have control of what you do day-day, week to week. This panel discussion will visit the lives of four amazing women engineers who have taken risks, and found success. Be inspired by their entrepreneurial spirit and find out why it was worth it for them. Alex Forsythe, P. Eng., MBA, has over 31 years’ worth of experience in industry, of which 27 are as a professional mainly in the mining and minerals processing business. Originally trained as a mechanical engineer, she has held various technical, functional management and project management roles. While not an entrepreneur per se, she has pursued an ‘intrapreneurial’ path as an employee by changing directions on more than one occasion, becoming more involved in the business side of things, and taking on calculated risks throughout her career. Lauren Kulokas is the Chief Operating Officer at Energy Aware Technology Inc, a company she co-founded with several other UBC students in 2005. Energy Aware develops products to promote sustainability, and their first product is an In-Home Energy Display unit called the PowerTab. By increasing awareness of the way people use household electricity, the PowerTab can help consumers reduce their energy waste. The company began as part of a UBC entrepreneurship course called New Venture Design (APSC 486) and has since become an award winning company with customers in Australia, North America and Europe. Energy Aware’s PowerTab is also featured in Millennium Water, the home of the Vancouver 2010 Olympic and Paralympic Village. Lauren graduated from UBC in 2006 with a Bachelor of Applied Science in Mechanical Engineering with a Minor in Commerce. Winnie comes from a diverse background including studies in Engineering Physics as well as Commerce at the University of British Columbia in Vancouver, Canada. She is the co-founder of Clinicbook, a web company that develops online appointment booking and appointment management tools for health care providers. While still a student, Winnie was President of the Vancouver Student Entrepreneurship Association for three years where she lead a team of enthusiastic entrepreneurship advocates to promote and to advance entrepreneurship in student bodies, and she continues to do so through VEF Momentum. She has also previously volunteered at schools in underserved rural areas in Kenya. In her spare time she enjoys snowboarding, skiing, rock climbing, traveling, and trying different cuisines. Karen Savage, Horizon Engineering Inc.
Karen has been providing geotechnical engineering services to the British Columbia building industry for over two decades, with emphasis on the Lower Mainland. Her hands-on approach and strong knowledge of local soil conditions has been appreciated by stakeholders in residential developments, commercial developments, and civil infrastructure works. In 1997, she founded Horizon Engineering Inc, a geotechnical engineering consultancy, which now employs 13 people. As well as providing traditional geotechnical design services for foundations, excavations, shoring and retention systems, and pavements, Karen also provides insight into stormwater management, especially as it relates to surface & sub-surface drainage, stormwater infiltration, and sediment & erosion control, especially for LEED projects. An active and ongoing volunteer within her profession, Karen has held many roles with the Association of professional Engineers and Geoscientists of British Columbia as well as serving on the Board of Directors of the Consulting Engineers of British Columbia from 2006 – 2011. Judi Hess, CEO, CopperLeaf Technologies. Judi took on the role of CEO at CopperLeaf in August 2009. In 1995 she joined Burnaby-based Creo Inc. from MacDonald Dettwiler and Associates, beginning as a program manager and rising to become president in 2002, a position she held until Creo was acquired by Eastman Kodak for just under $1 Billion USD in 2005. As part of Eastman Kodak, Judi took on the role of general manager, workflow and prepress equipment; and vice-president of the graphic communications group. Two years later, her role was expanded to include management of a portfolio of software and start-up businesses and she was appointed a corporate officer and vice-president of Eastman Kodak and the head of Kodak Canada. 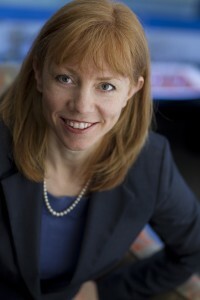 She is currently a member of the Premier’s Technology Council of British Columbia and a member of the board of Acetech. Originally from Toronto, Judi and her family live in Vancouver. She holds an honours bachelor’s degree in mathematics from the University of Waterloo, and is an avid downhill skier. “Do not talk to strangers” is something that many of us learned when we were children. How do we overcome this deeply ingrained advice when we seek to make connections with people we do not know? In this workshop, we will explore the many reasons why we would not want to say hi to a stranger (e.g., fear of rejection, fear of embarrassment, fear that the person may turn out to be very odd), and we will practice techniques for initiating conversations, careful listening, and graceful exits. Sabina Nawaz’s best days are those that contribute to the growth of others, whether they are senior leaders, frontline managers, or her young children. Sabina grows through pushing the limits of her comfort zone and helps others learn to do the same. Sabina works with leaders and organizations that are very successful, yet, find themselves being held back from delivering fully on their winning strategies because of the lack of a fully developed pipeline for their next generation of leaders. Sabina has developed a three pronged approach to address this issue. 2. Create custom leadership development programs that focus on identifying and then developing future leaders who are most likely to succeed over the long term regardless of the current business challenges and the ruling political relationships. 3. Assess trends in the organization’s culture, integrate the leadership development work and identify potential barriers to success. Prior to starting her own business in 2005, Sabina spent 15 years at Microsoft, first in software development and then in Human Resources. As Senior Director of Leadership, Management, Employee Development and then of SuccessionPlanning, Sabina launched several worldwide programs to help identify and cultivate Microsoft’s current and future leaders. Sabina holds a B.A. in Computer Science with a minor in Electronics from Smith College, an M.S. in Computer Systems Engineering from the University of Massachusetts, and several certifications and advanced training in leadership development. This talk will include a brief history of the Association of Professional Engineers and Geoscientists of BC and the requirements for licensure in order to practice as a professional engineer. The majority of the talk will be directed to internationally trained professionals, and include a discussion on what documents are required and the typical evaluation process. 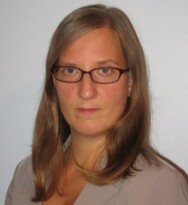 Caroline Westra is the Manager, Academic and Experience Assessment at APEGBC. She has received bachelor’s degrees in physics and mechanical engineering from the University of Victoria and has been with APEGBC since 1997. Since that time she has worked in the Registration Department and been involved in the evaluation of applicants’ credentials, especially the interview process. Caroline is also heavily involved in outreach and has given presentations on the application process to members-in-training, employers and internationally trained professionals. with valuable tips on how to present your ideas in a male-dominated world. This session is a lot of fun! Come prepared to boost your presentation skills and confidence. heights], he was a lifesaver [he is a terrible swimmer] and a preacher [he is still figuring out what he believes]. life and light through the lens. from the University of South Africa. Careers have many phases, and women in engineering often have uniquely curved career paths. For many women there are key times when they are ready to change gears and approach new challenges, at work or in the community. “Changing Gears: Leadership” is a unique picture of four careers, and the challenges and rewards of their changing leadership roles. 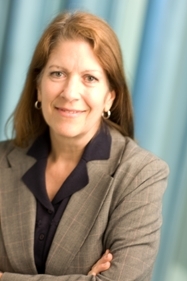 Carol Turner, P.Eng. is a structural engineer with WorleyParsons Canada Services Limited in Burnaby, BC. Her responsibilities at WorleyParsons include project management, industrial and marine structural design and inspection, specification preparation and project coordination. She has worked directly for clients on secondment and was the lead field engineer for the foundation construction at the Vancouver Convention Centre Expansion. Carol received her Bachelor’s Degree in Civil Engineering from the University of British Columbia. Her co-op work experience included spending eight months in northern Peru and a year in Yokohama, Japan. She is a Professional Engineer registered with the Association of Professional Engineers and Geoscientists of British Columbia. Carol is the mother of two young children and has held several volunteer positions in her community. She enjoys outdoor activities and travelling. 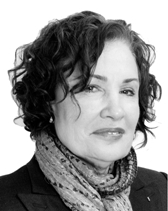 Barbara Ross-Denroche, President & CEO and Co-Founder of The Refinery Leadership Partners has been actively engaged in, and responsible for leadership challenges which have shaped best practice people systems within organizations. Prior to The Refinery Barbara held executive positions in Organizational Development and Human Resources where she focused on creating cultures that support high performance and transformational leadership development. In recognition of this work, Barbara received Awards of Distinction from BCHRMA and Quality Council Barbara has instructed leadership at Royal Roads University and Simon Fraser University. She is a frequent speaker on topics related to entrepreneurs, building a values-driven organization, and women in leadership. Active in the community, Barbara is Past President of B.C. Special Olympics, Past President and Board Member of B.C. Human Resources Association and currently a Board Member with The Minerva Foundation for B.C. Women. For several years Barbara has mentored a young doctor in Uganda, East Africa to assist with the development of his medical clinic and community initiatives. Sheri Plewes is a Professional Engineer and Senior Vice-President, Transport, for SNC-Lavalin’s Transportation Division, headquartered in Vancouver. Sheri has operational responsibility for the Transportation Division, a group of nearly 700 employees, in areas such as finance, project controls, proposals and marketing, communications and governmental affairs. 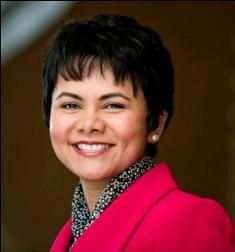 Prior to joining SNC-Lavalin, Sheri was a member of TransLink’s executive team where she was Vice-President, Capital Management and Engineering, responsible for developing and implementing capital programs for the transportation authority and its subsidiary companies. Her responsibilities included facilities planning and construction, bridge construction and maintenance, regional road construction and maintenance, rail infrastructure planning and construction and emergency planning. During her 29-year career, Sheri has also held engineering and major project roles with the City of Vancouver and the Alberta Ministry of Transportation. Sheri holds a Bachelor of Science (Honours) in Civil Engineering from the University of Alberta and is a Director of the Consulting Engineers of BC. 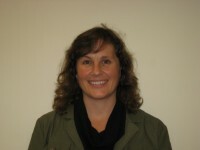 Donna LeClair is the Director of Advanced Infrastructure and R&D at BC Hydro. In this role she leads BC Hydro’s smart grid development program and is responsible for the strategic R&D portfolio for transmission and distribution. Donna was BC Hydro’s first Chief Technology Officer, a position she held from March 2007 through June 2010. Prior to joining B.C. Hydro in 2007, Donna had been working abroad. Away from her Vancouver home from 1998 to 2005, she lived in the U.S. for 3 ½ years, working as a management consultant in business and technology strategy in a variety of industries.She moved to Mauritius in 2002 to take up a position with the Central Electricity Board. She was in Mauritius for three years, first as the Corporate Planning & Research Manager and then Managing Director of the utility. Donna has lived for shorter periods of time in London, Ukraine, South Africa, East Africa, and Canada’s Arctic working as a consulting engineer or business strategist. Donna holds a Bachelor’s Degree in Civil Engineering and a Master’s Degree in Geotechnical Engineering from the University of British Columbia and a Master of Science in Management from the Sloan School of the Massachusetts Institute of Technology. She is a Director on the Board of Science World and a founding Director of BC’s new Women in Energy Network. She served for two years as a Director on the Board of the Ocean Renewable Energy Group. She serves on the Advisory Boards of the Faculty of Engineering at the University of Victoria, British Columbia and Natural Resources Canada’s Institute for Fuel Cell Innovation. Allison Morrison is the Manager of Technology Development in the Office of the Chief Technology Officer at BC Hydro. Allison has a BA (Hon) from the University of Saskatchewan, and an Executive Certificate in Innovation Management from MIT. Allison and her team are responsible for BC Hydro’s technology strategy. They develop long term technology roadmaps, identify new initiatives to implement technologies, and establish programs to further the achievement of BC Hydro’s business goals. In the early days of her twenty-year career at BC Hydro, Allison spearheaded the use of innovative technologies, such as using 3D drafting and digital photography to document and improve the company’s environmental performance. Her more recent assignments include coordinating BC Hydro’s role in micro-grids and alternative energy projects, and the creation of a set of scorecard-based metrics for monitoring research partnerships. Allison sits on the Life Sciences BC Bio-Products & Bio-Energy Advisory Committee. She is also a director on the board of the Wildlife Rescue Association of BC. (i) In the workplace clear communication is essential to success. (ii) Men and women communicate differently. So what are some guidelines for women communicating in a male dominated environment like engineering? Andrea will discuss her strategies for success based on her 20 years of experience in engineering design and construction as well as mining operations, and her recent experience on the management team of a newly formed geothermal energy company. Ms. Zaradic is a professional mechanical engineer with over 20 years of experience in corporate and project development. With an extensive project portfolio throughout the America’s from feasibility, through to operations, she was previously Manager of Infrastructure Development for Canico Resource Corp. on the Onca Puma nickel laterite project in Brazil and Senior Process Operations engineer for BHP Billiton’s Ekati Diamond Mine.Most recently Ms. Zaradic was VP Operations and Development for Magma Energy Corp. and as one of the founders and key team members took the company through a highly successful IPO and acquisition of HS Orka, the largest privately held geothermal company in Iceland. 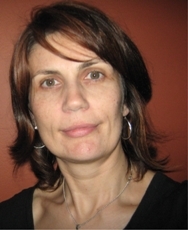 Ms. Zaradic holds a Master’s degree in mechanical engineering, is a registered Professional Engineer in the provinces of British Columbia and Ontario and as Vice President Project Development for Keegan is responsible for all advanced development work required to bring the Esaase gold project into production. Immigrating across countries or even continents is never an easy thing. Establishing yourself as a successful engineer in a new country can be even tougher. “Journey To Success – Stories of Immigrant Women” is an opportunity for successful foreign-trained engineers to share their experiences on how they thrived as a female engineer in a foreign country. Hear their stories and be inspired. 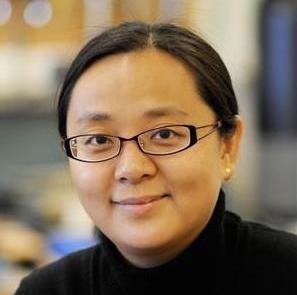 Dr. Guangrui (Maggie) Xia is an Assistant Professor in the Department of Materials Engineering at the University of British Columbia. She received her B.S. in Materials Science and Engineering from Tsinghua University (Beijing, China) in 1999, and received M.S. and Ph.D. in Electrical and Computer Engineering from the Massachusetts Institute of Technology in 2003 and 2006 respectively. After that, she worked at IBM Semiconductor Research and Development Center in New York from 2006 to 2008, where she focused on the simulation and modeling of 32 nm node CMOS technology. She joined the Department of Materials Engineering at the University of British Columbia in 2008. Her current research areas include Si-Ge interdiffusion, SiGe devices for electronic and optical applications, Si photonics and monolithic III-V laser integration on Si. Gordana Pejic received B.Sc in Electrical Engineering from University of Novi Sad, Serbia and M.S.S. in Software Systems from UBC. She works as an Embedded Electrical Engineer for Océ Display Graphics Systems where she enjoys using her hardware experience and knowledge in software systems to design embedded software for the large format, flat-bed printers. Before joining Océ Display Graphics Systems, she spent more than eight years working for fSONA Networks Corp, designing free space optical transceivers. Her fSONA experience included everything from cable to full product design. She enjoyed working in the manufacturing environment as that is where the final product is made and all the research and engineering are finally packed and shipped to the user. Her first Canadian job was a manufacturing technician for Ballard Power Systems that she got just a few months after moving to Canada in February 1999. She is very grateful to her adopted country of Canada, adoptive city of Vancouver and Canadians who gave her opportunity to live and build her career here. Thus thinking of giving not as a duty but as a privilege, she volunteers for SCWIST as a ms infinity mentor, ski patrols on Grouse Mountain during the winter and occasionally helps out with Vancouver tango community events. As a consulting engineer for energy efficient buildings, Dr. Frisque provides technical direction and leadership in sustainable design for buildings and communities. She has an international perspective on sustainable design. She holds a PhD in Theoretical Physics and Dipl.Ing.in Mechanical Engineering from RWTH Aachen, Germany, and has worked for the leading Canadian design firms Keen Engineering, Stantec and RWDI. Dr. Frisque has over 10 years of experience related to analyses and computer simulations for sustainable design. She uses her extensive knowledge in heat and mass transfer, thermodynamics and fluid dynamics to provide cost effective sustainable design and unique solutions to special projects, helping project teams to achieve their sustainability goals. Taking time away from work to care for aging parents, to pursue professional development, go on sabbatical or start a family are acts that drive your career off the traditional path. In such cases, how can you successfully take time off of your career – a career where such acts are unusual and rare – and be able to on ramp successfully again? This seminar will take advantage of the experience and knowledge of four highly regarded panelists to highlight success strategies for on-ramping and off-ramping, throughout your life and career. Stephanie graduated as a Mechanical Engineer from UBC in 2010. Since then, she has worked with Hatch Engineering as a Mechanical Engineer in various roles including: Project Engineer, Package Engineer, Procedural Training Instructor, and other minor roles. In addition to her project-related roles, Stephanie has taken deliberate steps to guide the ‘On-Ramp’ of her career. She has been actively involved in several workplace committees including Green Office Committee (as Co-Chair), Community Outreach Committee (as Co-Chair), Social Committee, and Professional Development Committee. She was also the chair for the company’s very successful week-long 2010 United Way Campaign, and has initiated planning for the 2011 campaign. She taken intentional measures to build a professional reputation, develop valuable mentorship relationships, network both internally and externally, and ensure continued professional development and life-long learning to build a successful career. 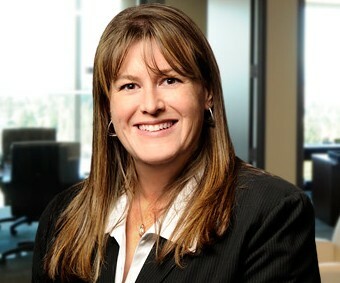 Allison Catherwood has worked in the fields of education and law since 1998. After earning degrees in Agriculture (Food Science) and Education from the University of British Columbia, Allison taught Home Economics for three years with the Coquitlam School District. In 2001, Allison returned to university to study law at the University of Alberta in Edmonton. Allison is presently an associate with McQuarrie Hunter LLP, a full-service law firm in Surrey, British Columbia. Although she began her law career practicing mainly in the area of insurance defence, her true interest was in the area of Wills, Estates and Trusts. In September 2007, after returning to work from her first maternity leave, Allison began practicing in the area of Wills, Estate and Trusts and has never looked back. Her second child was born in 2010 and Allison recently returned to the practice of law in June 2011. Allison volunteers as a guest speaker for the People’s Law School, speaking to community groups about a wide variety of estate planning topics. She is also a member of the Finance Committee for the Surrey Memorial Hospital Foundation. Bernadette Currie has worked in education and industry since 1995, after earning a degree in Mechanical Engineering from the University of Western Ontario. Her early years as an engineer were in the consumer products industry, working for IBM and P&G. Then Bernadette taught courses in machine design and manufacturing processes for a decade at BCIT, Capilano, SFU and Kwantlen. Her expertise in CAD is an interest she shares with her spouse, also an engineer. In 2006, with her three daughters in the audience, Bernadette received a Master’s of Engineering from the University of Victoria. Her research topic was Reverse Engineering and Rapid Tooling applied to Metal Casting Process. To meet P.Eng requirements, Bernadette ventured to heavy industry and gained experience designing hoisting equipment. Presently, she holds the position of Project Engineer, with Knelson, a mining equipment company in Surrey. She is a past chair of DAWEG and current vice-chair of the Fraser Valley branch executive of APEGBC. Marg Latham, Aqua Libra Consulting Ltd.
Marg Latham is President and Owner of Aqua Libra Consulting Ltd. She is a seasoned senior executive and professional engineer with a passion for leading people and change. She is described by a former CEO as delivering “impossible missions” and by team members as a passionate leader and mentor. Marg has delivered successful change programs in knowledge management, quality management, ISO 9001, CADD standardization and automation, risk management, and health, safety and environment. She was a vice president with consulting engineering firms, UMA and later AECOM Canada Ltd. from 2000 to 2009. Over the first 20 years of her career she managed institutional, residential and infrastructure projects in Toronto, Winnipeg and Vancouver. In 2001 she was named “Outstanding Woman in Construction”; an award co-presented by the Vancouver Regional Construction Association and Canadian Construction Women. Marg actively volunteers her time to encourage and support women in engineering and construction. Amy Jenkins Swan has used her early experience of heavy civil construction and design as a building block to move into commercial and residential structural consulting. After graduating from UBC in 2000 with a Civil Engineering degree Amy moved to California to work as a field engineer for Kiewit Pacific on the construction of a >$100M water reclamation plant. Following completion of construction she returned to the Lower Mainland to work for BC Hydro on the seismic upgrade design of several facilities. In 2006, with her young family, Amy returned home to the Okanagan Valley and to work as a structural consultant on commercial and residential projects. Amy founded her own structural consulting firm, Pinnacle Structural Consulting Ltd., in 2009. To better align her work with her core values in the long-term, she also returned to UBC as a PhD student in May 2010 to research sustainable structural materials. Sometimes, in life, you get offered a small glimmering of an opportunity. A window that can change your – or your organization’s – world. Whether you are getting into an elevator with a well-known philanthropist, meeting a leader in your field at a networking event, or pitching your message to the media, you need to be able to get across what you or your organization is about – and why anyone should care – in just a few minutes, or even a few seconds. This panel will cover the “why” and “how” of the worst-kept secret to selling your success. Kelsey McMartin is in her fourth year of Biomedical and Mechanical Engineering at the University of British Columbia in Vancouver. As an engineering student, Kelsey has worked for the Department of Mechanical Engineering at UBC assisting with the WWEST program and over the past three summers, she has worked for an Electrical and Mechanical Engineering firm in Ottawa, Ontario. In the future, Kelsey wishes to pursue further education in the biomedical field. Paul Geyer has been a leader and role model in the British Columbia medical device industry for almost 20 years. His influence has played a large part in the development of the life sciences community to what it is today. 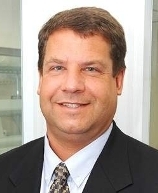 In 1991 Paul founded Mitroflow International Inc., and as President and CEO, he grew the company from 9 to 125 employees as it successfully commercialized various tissue heart valve products. In 1999, the company was named one of BC’s “50 Fastest Growing Companies”, and was sold to Sulzer Medica for over $50 million. Paul received the 1998 Entrepreneur of the Year award from the Richmond Chamber of Commerce, and in 1999 was named one of the “40 under 40” business people in British Columbia by Business in Vancouver. Paul went on to found Medical Ventures Corp. (Now Neovasc Inc.), a specialty vascular device company that develops medical devices for the rapidly growing vascular and surgical marketplace. At Medical Ventures, he was responsible for raising over $37 million in equity financing and expanding the company’s product portfolio through internal development and the acquisition of three other companies. Currently, Paul acts as CEO at LightIntegra, Chairman at Neovasc, and is an active Angel investor in technology and life science companies. 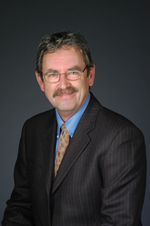 He has served on the Board of Directors of Science World British Columbia since 2003 where he was actively involved in the establishment of a new life sciences gallery called “BodyWorks” and from 2007-2010 held the position of Chairman. Paul has also established a private foundation, which is actively involved in projects supporting a number of different Charitable organizations including World Vision, Red Cross, Salvation Army, local public schools, take-a-hike youth at risk program, UBC Engineering, Science World and others. Since Jon joined CTV in 2007, he has dug into many of the province’s major stories, including the Lower Mainland gang wars, broken promises to problem gamblers by B.C. Lottery Corporation, and the surprise resignation of the province’s solicitor-general. He is the only reporter to have interviewed convicted serial killer Robert Pickton. Jon produces and reports investigative projects for CTV News at Six, often using hidden cameras and computer-assisted reporting. He was proud to be part of a news team that covered the 2010 Winter Olympic Games in Vancouver. 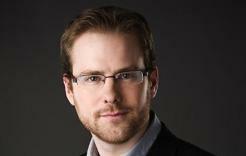 He has reported from a civil war in Uganda, Africa, for the CBC, the Ottawa Citizen, and TIME Magazine. He was awarded the Canadian Press Freedom Award in 2005 and a Jack Webster fellowship in 2009. He won two Edward R Murrow Awards for his work on problem gambling and several stories about a doctor promising bogus cancer cures. He has also been nominated twice for Jack Webster Awards. Jon has a degree in Mathematics from the University of British Columbia and lives in Vancouver. He trained at the country’s best J-school: The Ubyssey student newspaper. Liz Johnston, Stantec Consulting Inc.
With a degree in wildlife biology from the University of Guelph, a love for the natural environment, a passion for business, and infatuation with people, Elizabeth Johnston decided early in her career to channel her energy into influencing organizations to adopt sustainable business practices. Liz’s 25+ year career in strategic marketing and business development has at its roots, transforming business markets to adopt sustainability. She has held leadership positions with Laidlaw Environmental, BC Hydro, and the Canada Green Building Council in addition to co-founding and leading a Management Consulting firm that focused on “developing markets for environmental solutions”. Today, Liz leads Stantec Consulting’s marketing initiatives for British Columbia and the Pacific Northwest United States. Stantec, a leading global design firm, is widely recognized for its sustainability leadership. Stantec provides professional consulting services for facilities and infrastructure projects at every stage from initial concept and financial feasibility to project completion and beyond. Leanne Barlow is the Western Lead for Hatch’s Learning Centre. In this role, Leanne manages the development needs of staff across 4 offices in Canada and the US. On a daily basis, Leanne provides coaching, consulting, and facilitation to a number of initiatives that assist in the development of personnel, processes and project outcomes. Hatch is a global engineering and construction management firm, with over 10, 000 employees worldwide. Leanne has her MBA specializing in management and organizational studies with over 15 years experience as a Human Capital Consultant providing multi-level consulting in organizational effectiveness, organizational design, talent management, change management, prevention and health promotion, and total rewards. Leanne is experienced in both public and private sector. Leanne has presented at conferences and is co-author of a chapter on Workplace Safety. How can you find a way to be both dedicated to your work and dedicated to your own wellbeing? How can you be seen as a dedicated employee but also maintain your health, particularly in a field that often values self-sacrifice and overwork? How does someone balance a fulfilling life, while also being a successful engineer? Is it even possible to be a healthy person, with a variety of life priorities, and a well respected engineer? In this interactive workshop, participants will learn to think preventatively about their health and to consider the impact of their workplace culture on their own wellbeing. Through a variety of activities, this workshop will enable all to think critically about health in the workplace, identify warning signs of burnout and counteract stress. Participants will walk away with new ideas on how to identify, choose and create workplaces that will support engineers being successful in their work and their health. Suzanne Jolly coordinates health programs for the staff and faculty of the University of British Columbia (UBC) as the Health Promotion Coordinator at UBC Human Resources. As part of her role, she plans and implements the coordination of university-wide events, workshops and policies to create workplace cultures that support healthy decisions at UBC, such as the Healthy Workplace Initiatives Program Fund and UBC Thrive. All of Suzanne’s professional positions have focused on the development of healthy communities. As the Director of Northfield Drug-Free Communities in Northfield, Vermont, she coordinated substance abuse prevention for teens and families. During her graduate studies, Suzanne coordinated student health promotion events, such as the University of Vermont’s Women’s Wellness Week. Suzanne received her Masters of Education from the University of Vermont and her Bachelor of Arts from Simon Fraser University. Suzanne has been a keynote speaker and presenter in the U.S. and Canada. Graduate studies are a completely different experience from undergraduate studies. As a graduate student, your focus will shift to asking questions, instead of answering questions, and learning how to find good questions to answer. Furthermore, you are faced with open ended questions where getting the “best” answer instead of the “right” answer is key. As graduate student, you have a completely new and multifaceted relationship with the university (student and employee), faculty (mentor and supervisor), and other students and labmates (colleagues and friends). A graduate degree is an emotional roller coaster with highs and lows, but the personal and professional rewards can be great with the help and support of those around you. 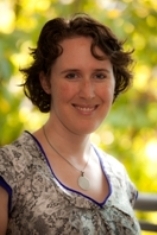 Dr Shannon is an Assistant Professor at Simon Fraser University in the School of Engineering Science. 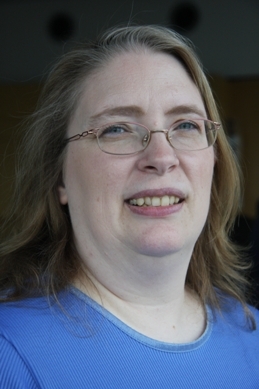 She received her B.Eng in ECE from the University of New Brunswick in 2000 and her MASc and PhD in Computer Engineering from the University of Toronto in 2001 and 2006, respectively. In the past 4 years, she has been the lead PI or co-PI on three successful Strategic Project Grants and has raised over one million dollars in research funding. 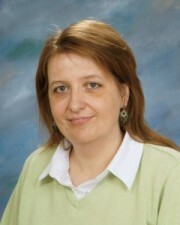 Her research focus is “Getting the most out of your Computing System Design,” particularly scheduling for multicore assymetric and heterogenous systems (eg embedded systems), Application- Specific architectures using FPGAs and GPGPUs, Network-on- Chip architectures for FPGAs, and CAD and Architectures for Reconfigurable platforms. Daniela Constantinescu is Assistant Professor of Mechanical Engineering at the University of Victoria. 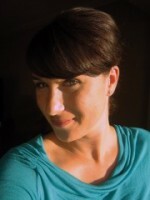 Her research is in the area of force feedback and haptic technologies for remote cooperation, for improving human performance in manipulation tasks, for rehabilitation, and for multi-user on-line computer games. Her work in haptic rendering and control has been awarded the Best Paper Award at the 12th International Symposium on Haptic Interfaces for Virtual Environment and Teleoperator Systems in 2004. Currently, Dr. Constantinescu focuses on increasing the contact stiffness rendered to users interacting with slowly updated virtual environments, or cooperating with other users remotely. Her students are developing centralized and distributed networked haptic architectures that tolerate larger network and virtual environment delay, as well as variations in the number of users involved in the cooperation. The goal is to permit remote users to join haptic cooperation tasks on-line, much like Skype users can join phone conversations currently. 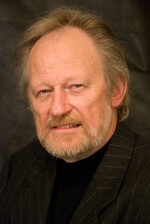 Philippe Kruchten is professor of software engineering in the department of Electrical and Computer Engineering of the University of British Columbia, in Vancouver Canada. He holds an NSERC chair in design engineering. He joined UBC in 2004 after a 30-year career in industry, where he worked mostly in with large software-intensive systems design, in the domains of telecommunication, defense, aerospace and transportation. Some of his experience is embodied in the Rational Unified Process (RUP) whose development he directed from 1996 until 2003, when Rational Software was bought by IBM. RUP includes an architectural design method, known as “RUP 4+1 views”. His current research interests still reside mostly with software architecture, and in particular architectural decisions and the decision process, as well as agile software engineering processes. He is a founding member of IFIP WG2.10 Software Architecture. Kruchten received his mechanical engineering diploma from Ecole Centrale de Lyon, and his doctorate degree in Information Systems from Ecole Nationale Supérieure des Télécommunications , Paris. He is a member of IEEE, ACM and AIS, and a Professional Engineer in British Columbia. Dr. Malcolm Scoble is a Professor in the Department of Mining Engineering and holder of the Robert E. Hallbauer Chair in Mining and Sustainability at the University of British Columbia. He graduated in Mining Engineering from the Camborne School of Mines, followed by a Masters in Mining Geology and Mineral Exploration from Leicester University and a Ph.D. in Mining Engineering from Nottingham University. He has been a faculty member at the University of Nottingham and McGill University as well as a past Head of the Mining Engineering Department at UBC. His current research areas are in mining with communities, and innovation in mine design. Dr. Susan Baldwin is an Associate Professor in the Department of Chemical and Biological Engineering at the University of British Columbia. She hails from Southern Africa where she completed her B. Sc and M. Sc at the University of Cape Town in the 1980s. After a short stint in Industry, Susan came to Canada and obtained a Ph.D. from the University of Toronto in 1992. Since then she has been doing research in metallurgical processing, bioremediation of mine wastes and biomonitoring of the environment. Susan is applying the fundamental principles of chemical and biological engineering to ameliorate the impact of process engineering on the environment. Her work segues between biological science and engineering art. When not at work Susan is hiking the mountains of British Columbia or kayaking in the ocean.